there is a big civic plant in Allison, Ontario. I wouldn't be surprised if production is streamlined and moved there. I'll ask around. Almost if not all Honda plants are multi functional and versatile. Plant 2 at our facility first started making Odyssey, then added Ridgeline, and MDX now they exclusively make CR-V. Honda builds most plants so at anytime we can shift production and model type to meet demand. It would be relatively easy to build the next hatch and Type-R at one of our North American facilities. Also all engines for the Type-R and I believe Civics made there come from the Anna Engine Plant in Ohio. This is mostly because sales are dying in the Eurozone, down 43% since 2007. 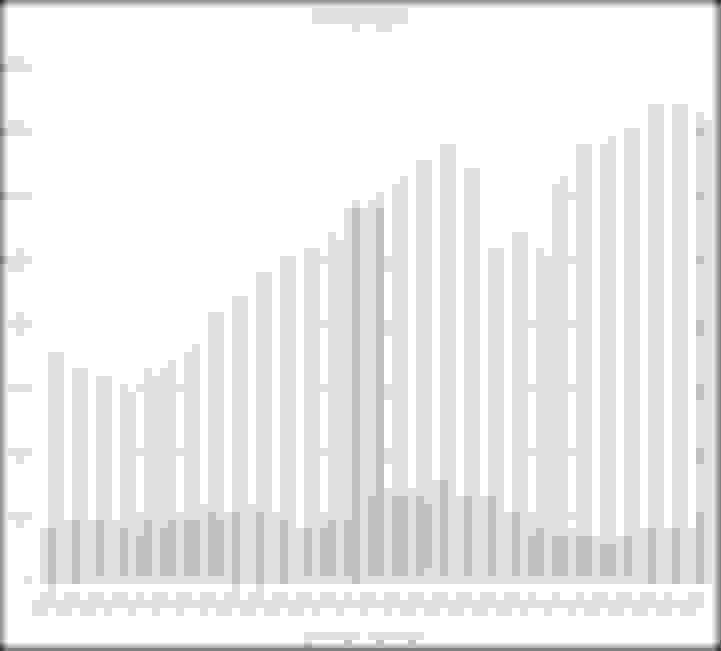 US Sales are up 5% since 2007. Brexit is no doubt a factor, coinciding with the new EU/Japan Trade agreement which means they can more easily import cars from Japan to the EU. what is happening in the Euro zone is it just Honda with declining sales or all makes ? 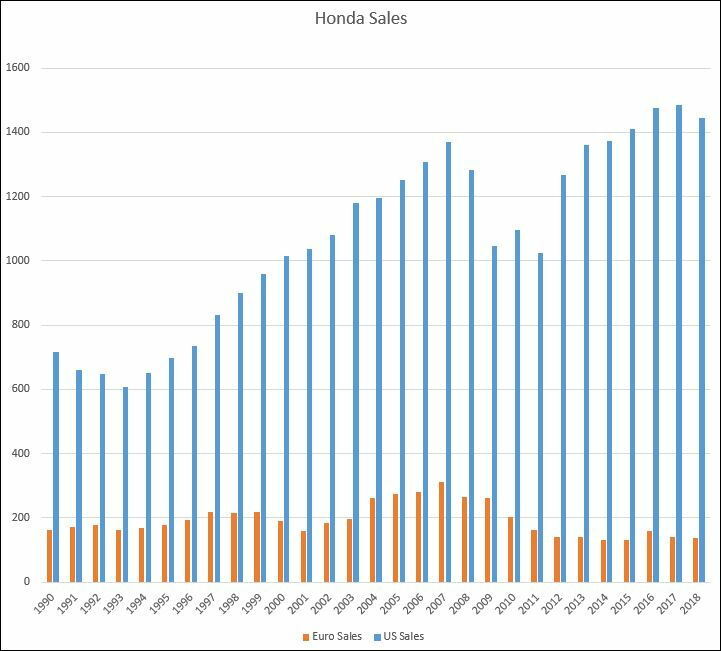 All makes have declined in the last few months, but Honda has been declining while others have been increasing. Honda only sells the Jazz (Fit), HR-V, Civic and CR-V here). They pulled the Accord a few years ago. Europe is an odd market in many ways, you have a lot of patriotic brand loyalty - the French buy a lot of French cars, despite them mostly being unreliable and not generally not very good, same goes for the Italians. People think German cars are reliable (I know, right? ), particularly VWs. In the UK, Fords and Vauxhalls sell extremely well (Vauxhall was GM-owned until recently, now owned by French PSA which owns Peugeot and Citroen), as they are wrongly perceived as British. They are/were made here but largely engineered in Germany by Ford and Opel (another GM Brand). They do well thanks to their extensive dealer networks. However, VW, and BMW do very well indeed here. Recession is coming to Europe, so a small player like Honda is going to struggle. Whether or not a successful relationship with Red Bull in Formula 1 can make any difference remains to be seen. Brexit is a red herring. Everything will settle down back to business as usual for the UK once the extraction is complete. And if I'm wrong about that someone hyperlink an article or two stating as much, because I'd love to learn more about it. I'm on my phone or I would, but Brexit is a huge deal. Minimum their economy is shrinking by 3-5%, if the transition goes badly it could shrink by 10%. A lot of business are relocating their offices out of England so as not to be impacted by the Brexit. It's a huge deal for compliance and regulatory requirements for medical devices and pharmaceuticals, which is just a single industry. If you mean CTRs, then yes, I've hardly seen any here. No-one wants to be seen in them. A Golf R is much more appealing in general terms.